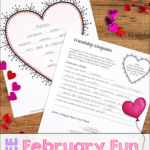 February Fun – Free Lessons You'll Love! 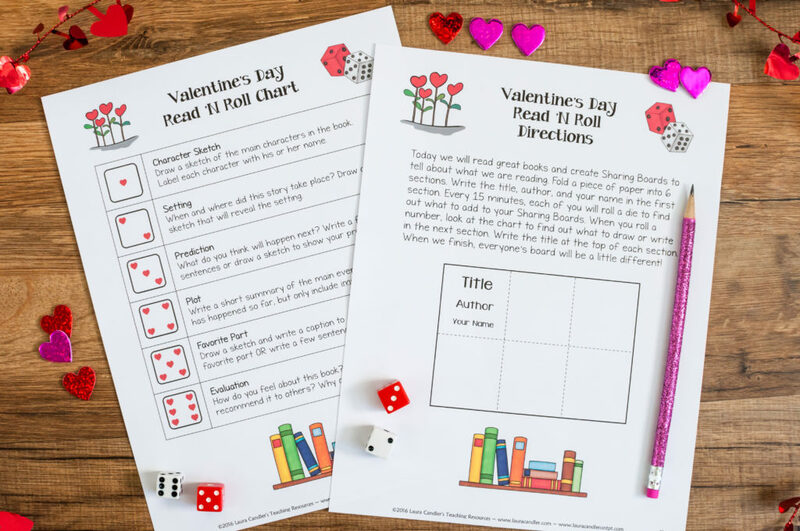 February is packed with fun holidays, making it a great time to integrate seasonal activities into your lessons. This year we celebrate the Chinese New Year, Valentine’s Day, and Presidents’ Day, to name just a few. I’m sure you’re aware that it’s Black History Month, but I’ll bet you didn’t know that it’s International Friendship Month, too! Every minute counts during the school day, so seasonal activities MUST meet the same standards we apply to all of our lessons. They must actively engage students and provide opportunities for real learning. It can be challenging for upper elementary teachers to locate meaningful holiday-themed lessons, but it IS possible to find seasonal activities that are both academically rigorous and fun! 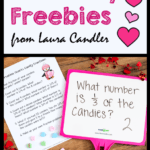 To see what I mean, click below to grab my my free February Activities mini pack. 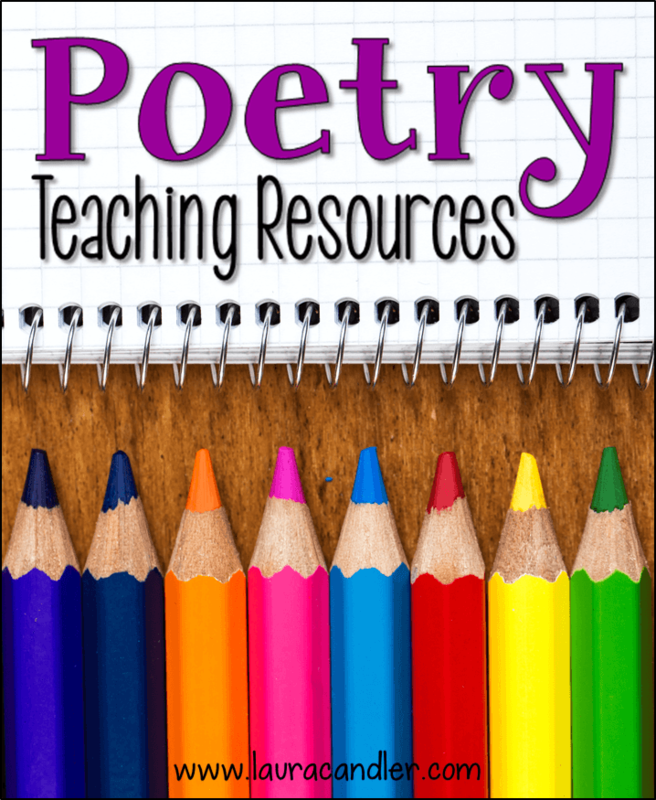 This teaching resource is jam-packed with engaging lessons and no-prep printables for February and winter. Click here to request your free copy now. 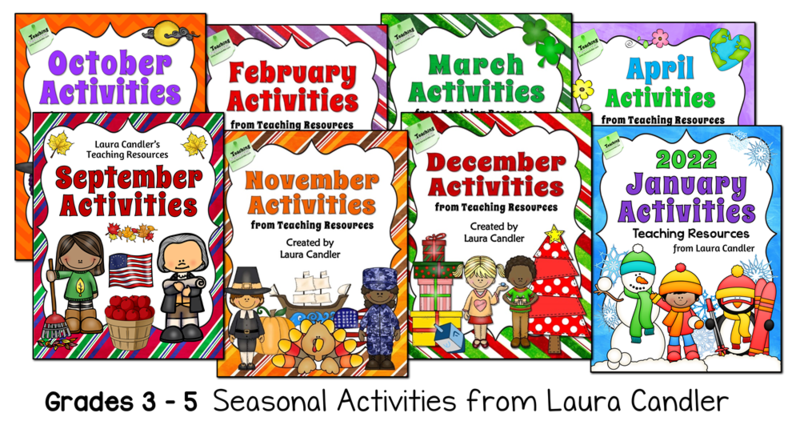 February Activities is just one of the items in my Seasonal Activities Bundle. 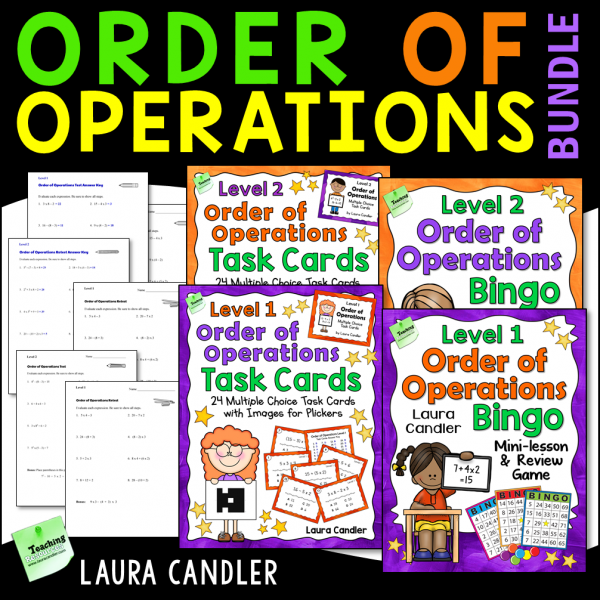 If you like this freebie, you’ll also enjoy my seasonal lessons for the other months of the year! To celebrate International Friendship Month, teach your students how to express gratitude and appreciation. 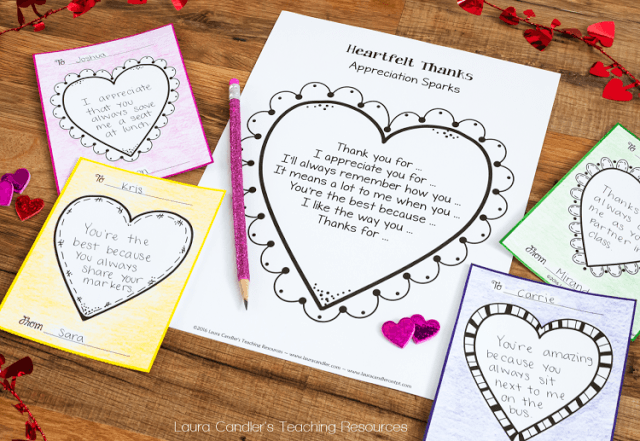 Give each student a copy of the heart notes printable below. Discuss what it means to be thankful for something or someone, and provide class time for writing and exchanging notes. 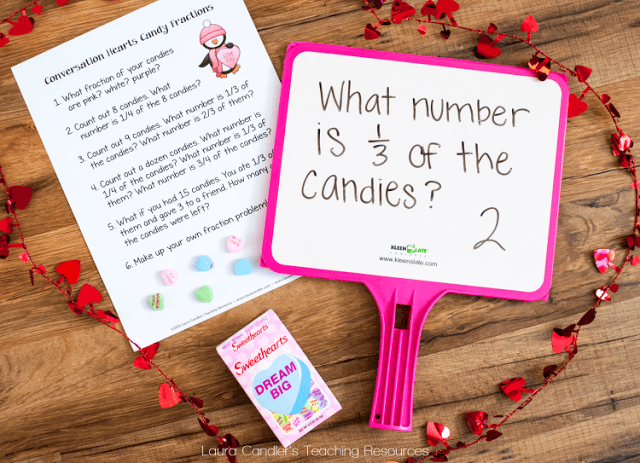 If you’ve been studying fractions, your kids will love this lesson with conversation hearts! The focus of the lesson is on finding fractions of a number, and the final step is having students create their own fraction problems as shown below. 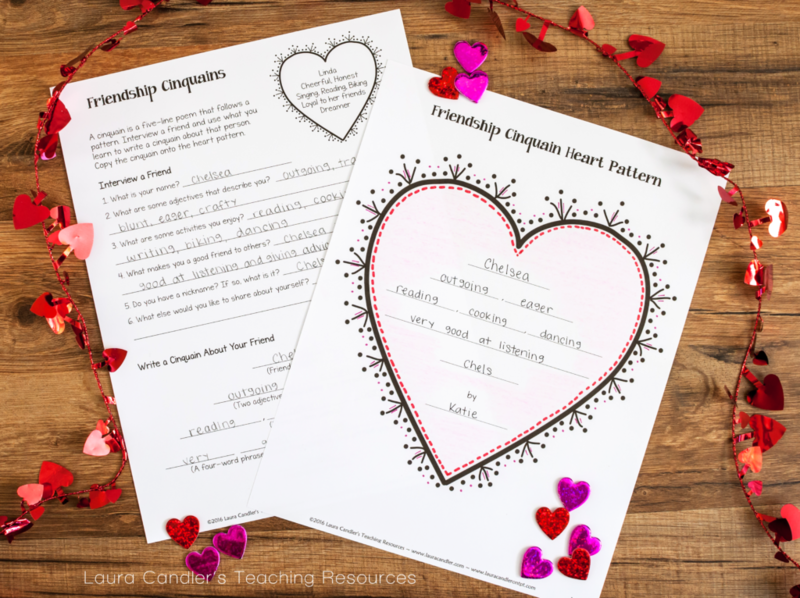 Since February is International Friendship Month, it’s a perfect time to write friendship poems. 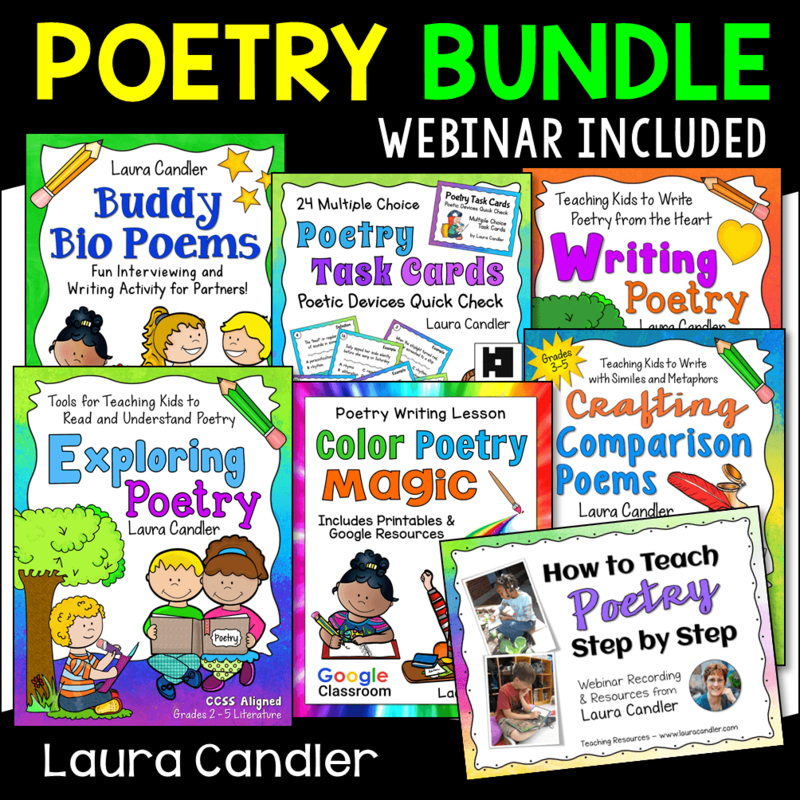 Cinquains are simple 5-line poems, and this activity will lead your students through the poetry writing process as they interview a friend and write a poem about him or her. Valentine’s Day is bound to be filled with excitement, but it doesn’t have to be chaotic! Start the day with a Reading Marathon, an activity in which students choose their own books and read for an extended period of time, with short breaks to stop and create a storyboard. 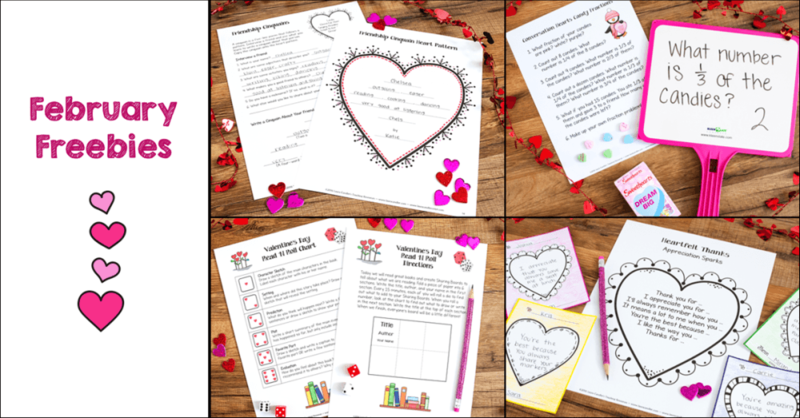 If you like the activities in my February Activities pack, check out my Holiday and Seasonal Activities bundle which includes all 7 resources plus a Seasonal Mystery Words bonus. 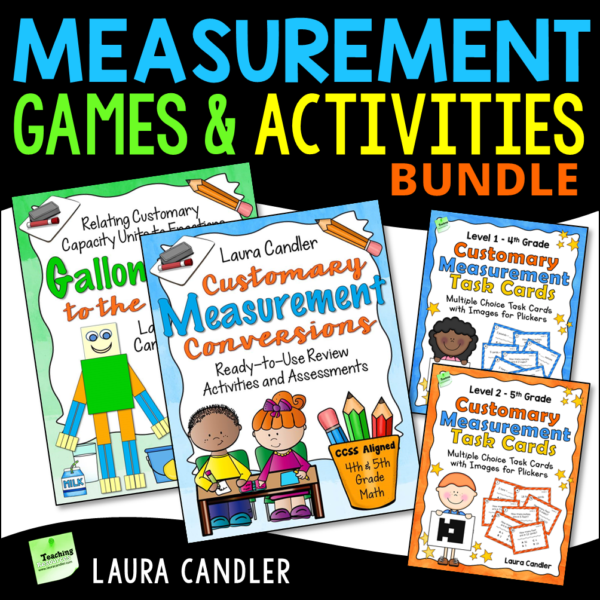 Each item can be purchased separately, but you’ll save over $15 by purchasing them in a bundle. I enjoy creating interactive teaching resources for busy educators because I know just how much time it takes to plan engaging lessons. 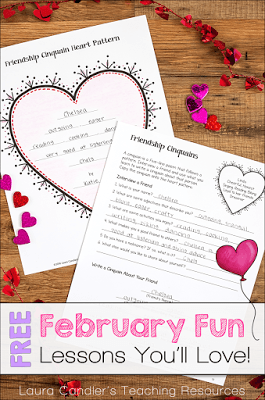 I hope this February Activities freebie lightens your lesson-planning load this month!